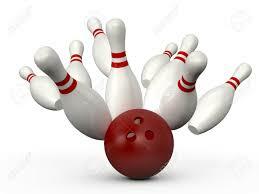 Join other siblings ages 6 and up for a Saturday morning of bowling fun! Sibshops create opportunities for brothers and sisters of children with disabilities or special needs to meet other siblings and gain support in a fun atmosphere. Sibshops conducted by Lekotek reflect our commitment to siblings who have the longest-lasting relationship with their brother or sister. Registration is required. Join other siblings ages 6 and up for a Saturday morning of bowling fun! longest-lasting relationship with their brother or sister.